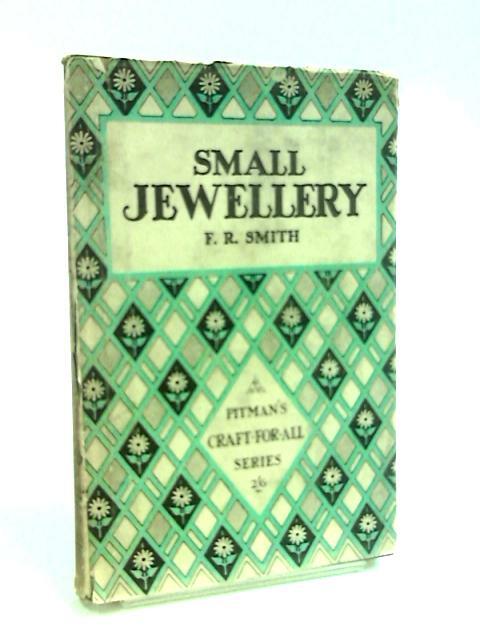 Small Jewellery by Smith, F. R.
1931. 109 pages. Blue and white, pictorial dust jacket over tanned boards. Firm binding. Mild foxing, tanning and handling marks with B&W illustrations. Slight bumping to corners with moderate rubbing along edges and over surfaces. Unclipped jacket. Chipping and tears to spine ends and along edges with noticeable rubbing and wear over surfaces.